After trying a bunch of Fancy/Large Gyms we found Elmore and trained for over 2 years. My daughter was 11 and I was 58 when we started the program. The hour that we spent with him had to be Fun and Effective in order to keep our attention and focus. He taught us about nutrition and balance. He really connected with us. The bond with my daughter is stronger than ever and now I’m going to be around to see her have kids. I was able to give my daughter an example of why it is important to become part of this Fit Culture and make a lifestyle change. 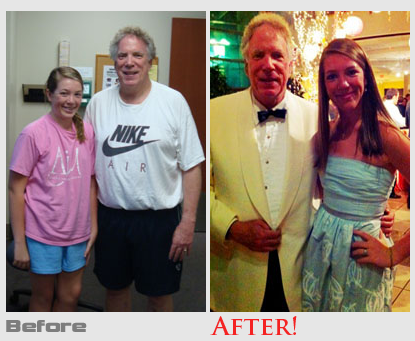 I lost over 50 pounds all I had to do was show up and Elmore did the Rest! We may have to move to Atlanta because he is truly the best! Thanks Elmore for what you have done for us!